This town, "Twin Peaks," is not only located in the Middle of Nowhere—by my standards—but it also happens to be in bear country. 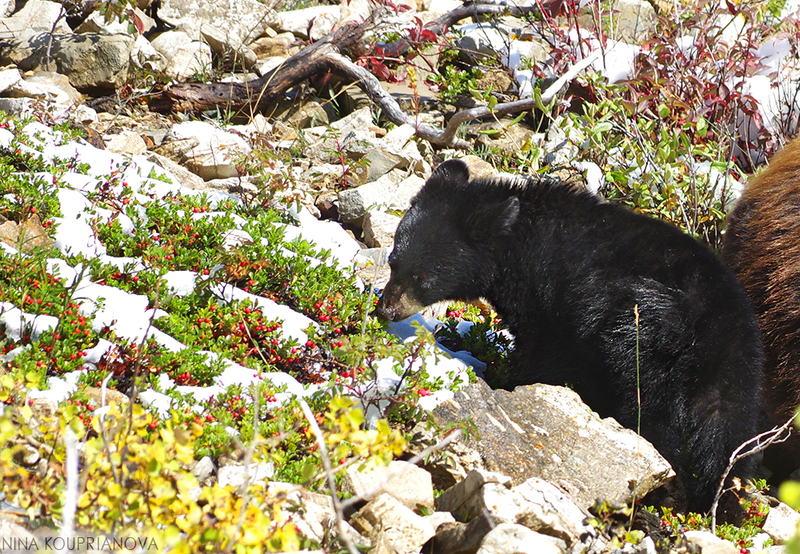 Yet, I've run into more bears in central Canada than in this part of the Rocky Mountains. Years ago, in the forlorn days of 35-mm cameras, I've even spotted a mother and a cub in the woods just a few feet away. Luckily, my concern for safety triumphed over my desire to photograph them. I've even missed the black bear roaming down my street just the other day, or so the local paper said, because I was away. Of course, I've never specifically gone out trying to capture images of bears: I'd prefer a slightly stronger telephoto lens to minimize the chance of becoming dinner. Needless to say, this impromptu bear photoshoot below, despite the stark midday lighting, was a truly unique experience. 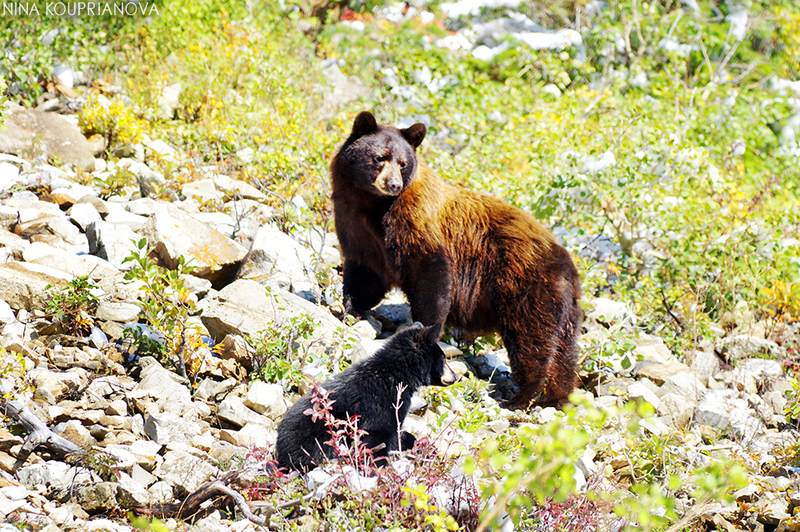 In fact, I was a bit confused about the identity of the light-colored mother until I zoomed in: not a grizzly! Oh, and sorry about the bear jam! P.S. We actually did use a scenic pullout and stayed with the car, so no laws were broken when obtaining these photos!